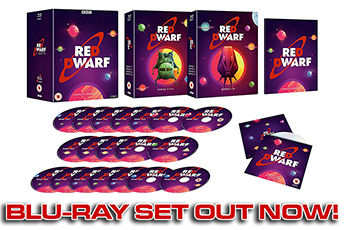 More Red Dwarf XI raves keep coming in. Two weeks in to Red Dwarf XI, and the word on the street is: it's pretty smegging great, actually. Now, we don't like to blow our own trumpet any more than is strictly necessary - so it's a good job that, in the wake of Samsara's UKTV Play preview last week and TV premiere last night, there have been plenty of people out there blowing it for us. Such as Den of Geek, who wrote that "Samsara simultaneously harks back to classic Red Dwarf while trying something new, resulting in some outstanding comedy moments." Or Cultfix, who reckoned that "Samsara... could easily slide into the classic series of the show." "The writing is as good as ever," said critic Kevin O'Sullivan, while Flickering Myth simply stated that "Samsara is a brilliant episode of Red Dwarf." Over in the newspapers, the Mail said that "The Cat is back to his idiotic best as he gives Lister a wonderfully mangled history lesson", and the Telegraph called the episode "amusingly outlandish". The Mirror's guest TV critic, meanwhile, admitted to not previously having been a fan of the show, but has enjoyed the new episodes, saying that they "seem to have picked up an alien team of very funny writers". Well, it's the same writer it always was, guys: but we're glad you're getting on with what he's doing right now! "This week's plot is a doozy," say Radio Times, while Cr@bpendium went so far as to call Samsara "the most polished and accomplished episode of Red Dwarf since its heyday in the early '90s". 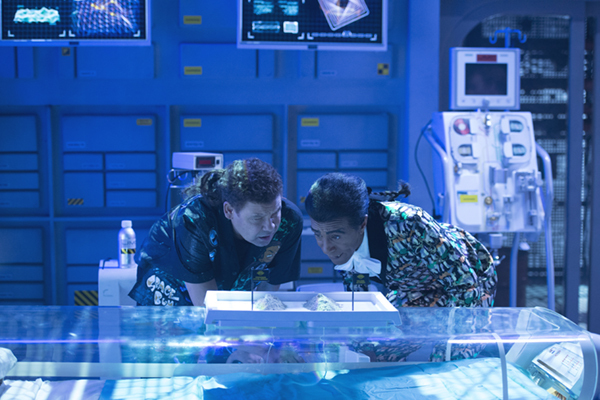 "Classic Red Dwarf," agreed Vodzilla.co, "[with] scripts which still have an eye for a witty premise." And Epic Stream added that the "ace script... allows these four comedic legends to do what they do best". "This inventive series has maintained its charm 28 years after it was first broadcast," say TV Times, "and the chemistry of the cast remains strong." And The Spectator have said that the show has "lost none of its stirring ability to combine broad comedy with unashamedly smart science fiction." As that's pretty much exactly what we were hoping the new episodes would do, we're glad that people out there are in agreement! All these reviews, meanwhile, came as Twentica was making its bow on Dave - to an audience of over 800,000 viewers on the night (a figure which doesn't include anyone who watched on UKTV Play online or on set-top boxes in advance, nor those who will have recorded it to watch at a later point!) That equates to a 4.2% audience share, which is an extremely high figure for a multichannel (that is, not one of the big five "terrestrial" channels from the pre-digital age) transmission - especially as there were high-profile debuts on both ITV1 and Channel 4 at the same time. The series already looks set to be one of the biggest multichannel hits of the year if these figures keep up! Over on social media, meanwhile, Red Dwarf XI dominated discussion on Twentica's launch night. #RedDwarfXI become the second-highest trending topic in the entirety of the UK, and discussion peaked with around 300 tweets being sent about the show in the first two minutes! All in all, tweets about RDXI between 9.00pm and 9.40pm created over 1.1 million impressions. Cor. 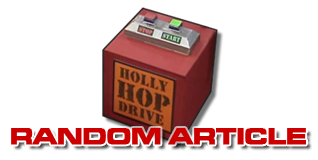 If you're somehow still behind the game, then don't forget that Red Dwarf XI is currently airing on Thursday nights at 9pm on Dave - which each episode being available to preview on the on-demand UKTV Play service from the Friday before broadcast. And that means that yes, if you head on over there right now, you should be able to see a brand new episode titled Give & Take. So, er - what are you still here for...? Red Dwarf XI. 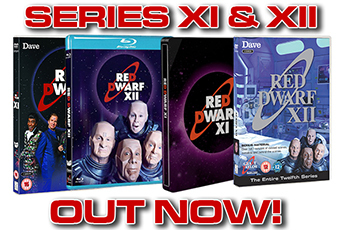 The brand new series, exclusive to Dave!